I found a few intriguing bits including a ceramic Erphila madonna bust from Germany (sorry for the blurry photo taken hurriedly on my phone). 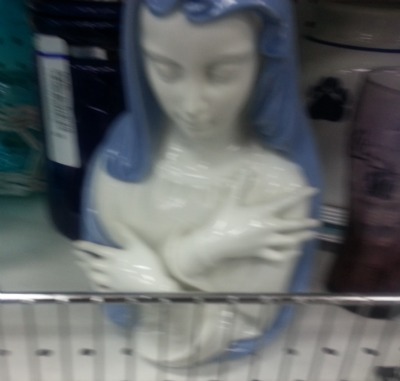 She had a mended finger, but was otherwise perfect…but honestly $19.99!! A tad excessive for a thrift store. 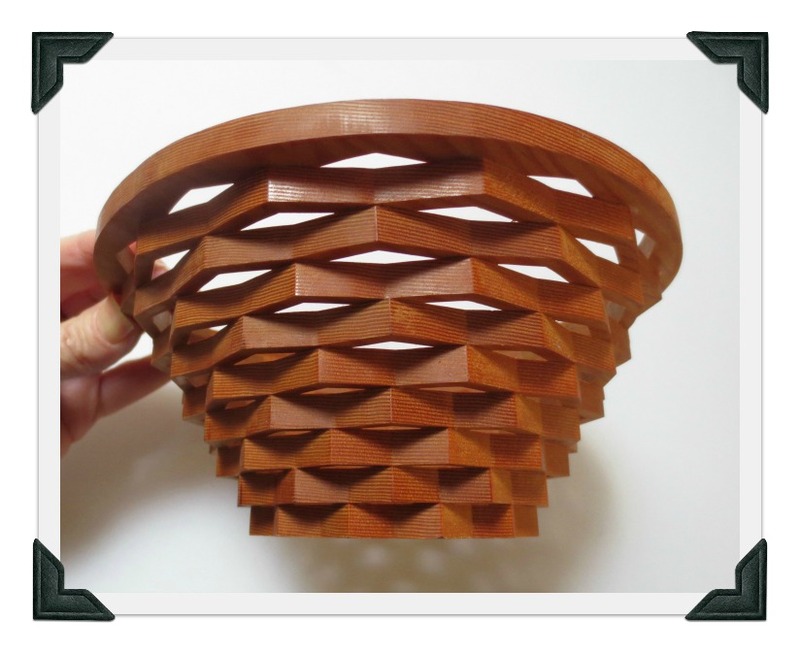 But I did find a couple of neat smalls including this wood bowl/basket handmade by R. Minato in Bridge Lake, British Columbia (according to the bottom). I think this would look good in most decors, except perhaps some super fancy rococo nonsense. Even in a stark modern house you could spray paint it black and it would look great. 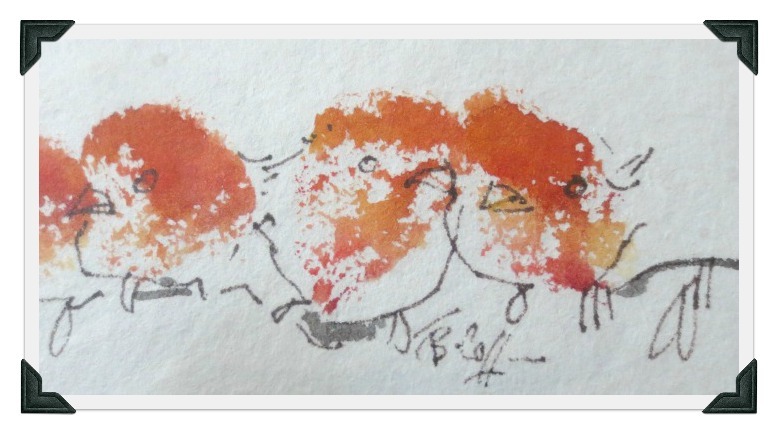 And I spotted this small watercolor and ink painting of whimsical birds on a branch. It’s only 12″ wide by 5″ tall and has been custom matted and framed. The artist’s name looks like “B. Coffin” or ? Just finding these two bits cheered me. 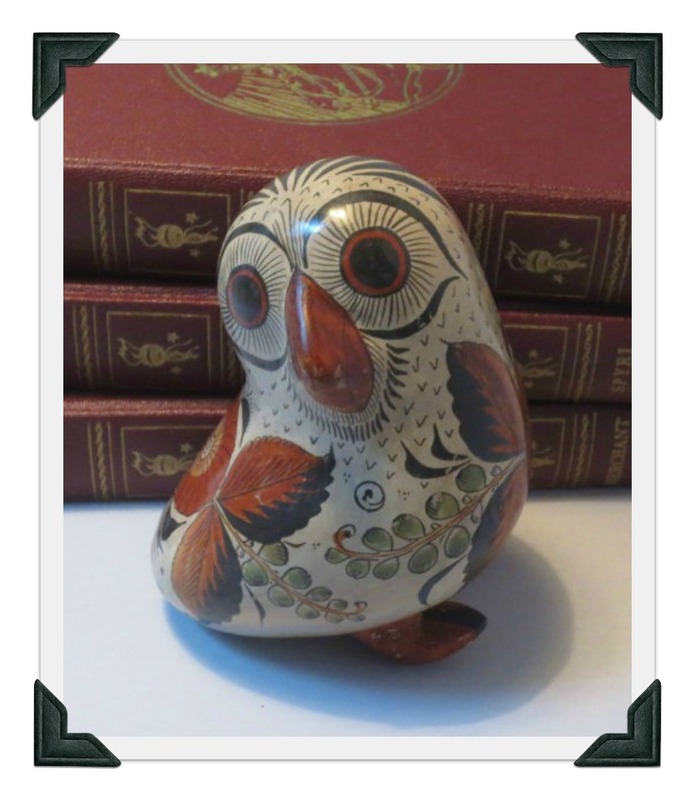 I realized I seem to be trending birds lately because the day before my vacation I found this vintage Tonala, Mexico, burnished pottery owl at my Goodwill. I won’t mind if he sticks around for a while! And do these things sell? They do…eventually! 1950s Matisse copper pin and earrings bought $20.00, sold $70.00. “A Leg At Each Corner” book bought $2.00, sold $28.00. Mostly modest profits, but I try to have a variety of interesting items with many price points. I have learned that not everything is worth trying to resell online when you factor in the time it takes to do all the research, photos and description, etc. for each listing. And some items are just too hard/time-consuming to package and ship. Overall I am having a great time with my stores. It’s rather fun to do something different at this mid-season of life…even if it is just selling stuff! Any good finds and/or sales you want to share?? I find that smalls in the shop do very well but I like stocking bigger, pricier pieces too. I love the variety even if they do take longer to sell and some pieces I refuse to give up on!